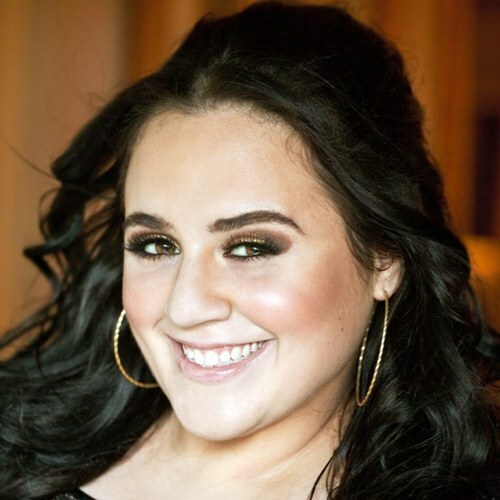 Nikki Blonsky was born on 9th November 1988 in Great Neck, New York, the USA. Her birth name is Nicole Margaret Blonsky and she has got a nickname, Nikki. Her mother’s name is Karen Blonsky and father’s name is Carl Blonsky. Similarly, her mother is a school aide and her father is a municipal worker for the village water pollution control district. She belongs to Ashkenazi Jewish on her mother’s side and of Czech and Irish descent on her mother’s side. She has got a brother named Joey. Nikki was raised Roman Catholic. She started singing at the age of 3 and took vocal lessons at the age of 8. She had a desire to play the role of Tracy Turnblad after she saw Hairspray on Broadway on her 15th birthday. Likewise, she joined Great Neck North Middle School and joined for a year at John L. Miller Great Neck North High School. After that, she switched to Village School, which was an alternative high school with only 50 students. Then, she attended the after-school theatre program at William A. Shine Great Neck South High School after school each day and participated in productions of Kiss Me, Kate, Les Misérables, Sweeney Todd, and the title role of the opera Carmen. Nikki holds American nationality and belongs to mixed (Ashkenazi Jewish, Czech, and Irish) ethnicity. She has 4 feet 10 inches height and has 71 Kg weight. She has dark brown hair and dark brown eye colour. Nikki Blonsky began her career when she portray the role of Tracy Turnblad in ‘Hairspary’, she auditioned for her dream role in 2006. During her working at Cold Stone Creamery, she was cast in Adam Shankman’s 2007 film adaptation. Then, the movie ‘hairspray’ became her most successful movie. She came up with her debut album in September 2007 and partnered with alternative rock musician Duncan Sheik on several tracks. She released her first single ‘On a High’ which was cover of one of Sheik’s song, was featured in the movie named ‘Queen Sized’. Then, Nikki made her guest appearance on ‘Ugly Betty’ in 2009 in the episode ‘Dressed for Success’. In the same year, she co-starred in the MTV mystery series ‘Valemont’. Later, she portrayed the recurring role of Margot in the film ‘Smash’ in 2013 and her recent roles include as lady Paw Paw in the film ‘Pup Star’ in 2016 and as Faith in ‘The Last Movie Star’ in 2017. Also, she recently worked on a drama film named ‘Dog Years’ alongside Ariel Winter and Burt Reynolds. Additionally, she won Critics Choice Awards in the category Best Young Actress for ‘Hairspray’ and in the category Best Acting Ensemble for ‘Hairspray’ in 2008. Also, she was awarded Hollywood Film Award in the category Ensemble of the Year for ‘hairspray’ in 2007, OFCS Award in the category Best Breakthrough Performance for ‘Hairspray’ in 2008, and also awarded several other awards and nominations for her work. The 30 years old, Nikki Blonsky is currently single. She has not been linked with anyone currently. She might be looking for someone who understands her and will be the perfect one for her. Also, she is also busy in her career and might not have got enough time to be in a relationship. The American actress, dancer, and singer, Nikki Blonsky has earned the decent income from her career. She has a net worth of around $625,000 USD. Likewise, Nikki has around 26k followers on Twitter and around 30k followers on Instagram, but she does not seem to be active on Facebook.